When Are Treatments Better For You Than The Gym? 17th November 2017 | filed under Uncategorised. Exercise is part of many individuals’ lives, and this can be incorporated in numerous different ways, from brisk walks to exercise classes, all of which can keep your body fit and healthy. However, beauty treatments are also an effective way to transform your body and, at the Aesthetic Skin Clinic, we offer a variation of surgical and non-surgical procedures to keep your body at its best. 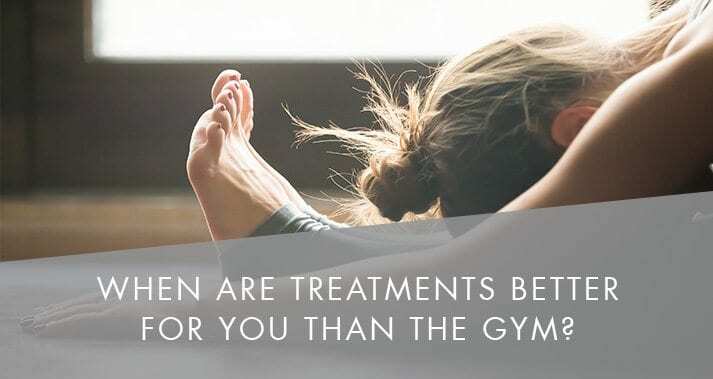 When are treatments better for you than the gym? It all depends on the individual and what is best for you. This can be done all year round, for an upcoming holiday or to start the New Year, for instance. Here, we will take a look at the differences between undergoing beauty treatments and attending the gym. One of the main reasons many attend the gym is to change their weight and create the body they want, and it is most definitely an effective option. However, this can be a long and time-consuming process for many. There are a number of treatments available for fat removal which can produce much quicker results. Our Aqualyx Fat Removal is a revolutionary, non-surgical treatment which is used to treat unwanted fat, for example. Aqualyx breaks down any stubborn fat and then the body naturally flushes it out. This is a great treatment for individuals who have an active lifestyle and healthy diet, as this creates better results. Beauty treatments are a highly effective method of producing the results you seek, and our Fat Freezing procedure is a great example of this. This new generation of cryolipolysis uses the latest technology from the aerospace industry, guaranteeing safe and effective results. Fat Freezing is used for efficient body contouring, using eight control sensors to remove discreet and unwanted fat bulges. Going to the gym is a great way to lose weight, but this method reaches problem areas which many can find difficult to reduce in the gym. However, an active lifestyle is, again, ideal for those who want to see the best results, as this is not a substitute for exercise. There are many long-lasting treatments which provide effective results when attending the gym is not enough. Surgical treatments, such as liposuction, are a great way to achieve these results. This procedure can be used on numerous parts of the body and is effective for both men and women. It targets the removal of fatty deposits and remains the most effective method for removing fat cells in certain areas. For individuals with loose or excess skin from weight loss, our Tummy Tuck procedure is ideal. Results are instantaneous and continue to improve during the healing process. Treatments are a great way to provide vibrant and positive changes to give you back your confidence, and here at the Aesthetic Skin Clinic, we value this recognition. Our award-winning team pride themselves on being professional and results-driven, and making our patients comfortable is a high priority. If you would like to find out more information about our treatments and procedures (and why celebrities get them too), please do not hesitate to get in touch with a member of our team today and we will be happy to help.